I’ve heard about twins having a special bond, but how about “twin cousins”? Ryatt Raegan and Indie Mae may not have grown together in the same womb, but by all accounts, they are as close as any twin siblings could possibly be. The adorable little girls recently turned a year old. Baby Ryatt was born to Corey Struve Talbott and her husband Travis on August 10, 2016. That same day, Corey’s sister Katie Struve Morgan gave birth to her own daughter, Indie. But Katie and Corey’s story actually began months before. The tale of their “twin pregnancies” quickly went viral after their unique maternity shoot was shared by photographer Brenden Boggs of So Cute Photography. Check out the beautiful photos below, and scroll through to learn more about these “twin cousins”! Corey and Katie were pregnant at the same time in 2016, which is basically a dream come true for any pregnant woman who’s ever wanted a “pregnancy buddy” to share the highs and lows with. To top it off, the sisters were both having girls — and were due just two weeks apart! Ahead of their due dates, Corey and Katie enlisted the help of Brenden Boggs to create a one-of-a-kind photo shoot. 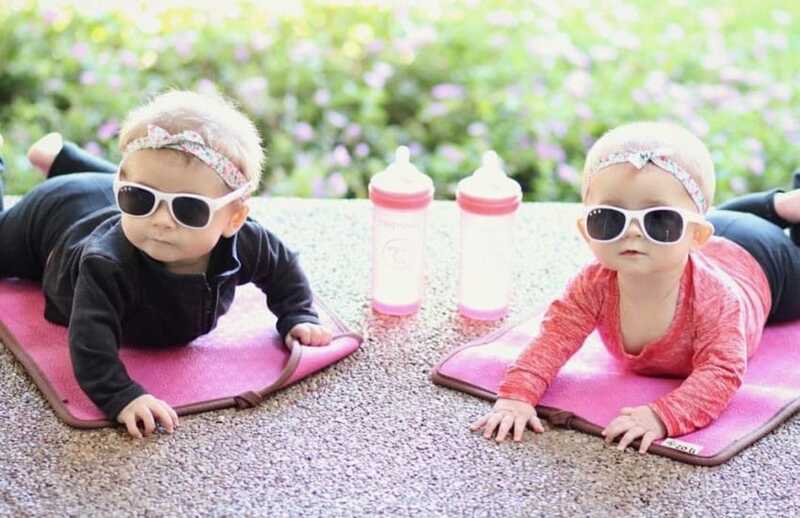 They posed for their photos, with their “twin” bumps on full display and wearing flower crowns. Amazingly, Corey delivered early. By sheer coincidence, both babies were born on the same day: August 10, 2016. In fact, the sisters gave birth just 20 minutes apart — and the same doctor delivered both babies! Talk about multitasking. 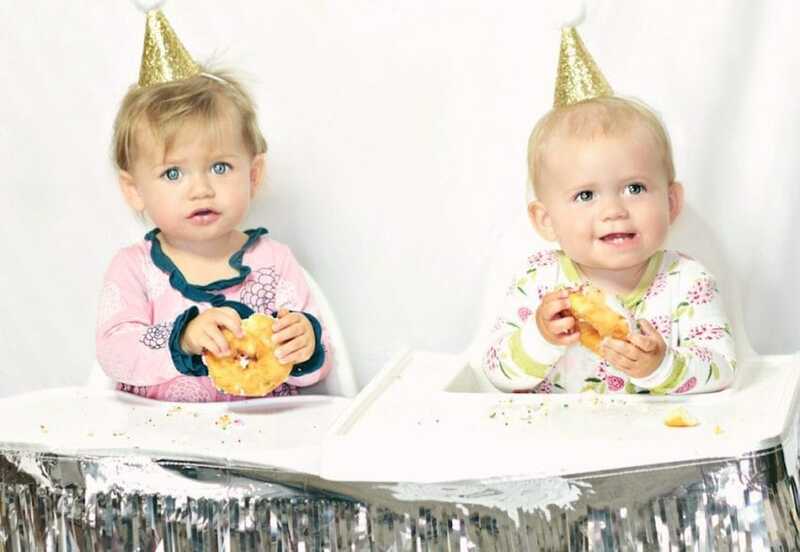 To celebrate the “twin cousins” and their special bond, Corey, and Katie decided to recreate their beautiful maternity shoot for the girls’ first-birthday photos. Brenden shared the maternity and birthday photos with Love What Matters, explaining the story behind the photo shoots. I photographed Corey and Katie’s maternity photos last year. I thought it was so sweet that two sisters got to experience such a special time together. Even though their due dates were a few weeks apart they ended up giving birth on the same day only 20 minutes apart! We all joke that they are twin-cousins! A year has gone by and it was time for the baby girl’s 1st birthday photo session. I thought it would be amazing to do a recreation of the maternity session, and Corey and Katie thought it was a great idea! It was so much fun to see how much life can change in a year. Now Corey and Katie have two beautiful baby girls full of personality, and they all can’t wait to see what adventures the next year of toddlerhood brings. The “twin cousins” have now picked up quite a large following on Instagram, where their moms share more adorable photos of the little girls. The sisters even posted a behind-the-scenes video of the shoot on YouTube featuring Corey’s husband Travis helping to keep the babies’ attention! 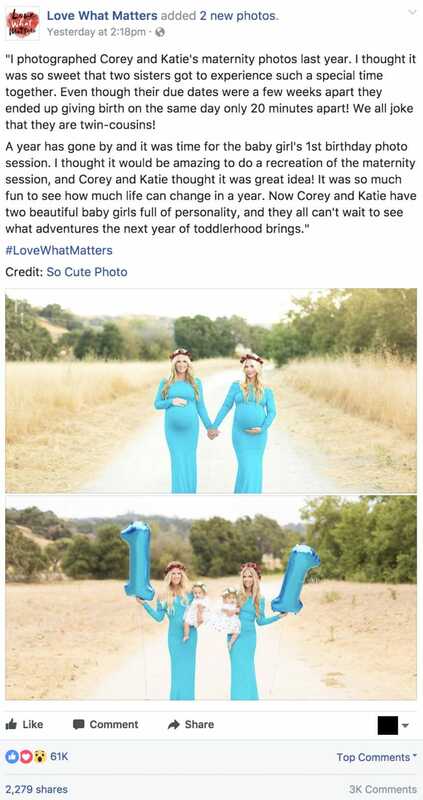 Corey and Katie’s photos have been shared over 2,200 times and have gotten over 3,000 comments since Love What Matters posted them on August 13, 2017.